EA is considering bringing its free-to-play battle royale Titanfall spinoff Apex Legends to mobile. During the company’s latest earnings call for its Q3 financials, EA CEO Andrew Wilson said that cross-play could be part of such a move - much like what Epic has done with Fortnite. “We absolutely are looking to that in the context of Apex and we'll be looking at that across our portfolio with time and we think about franchises with tremendously large communities like FIFA and think that they would absolutely benefit from cross play and cross progress as more and more people come into these big communities,” said Wilson, as reported by Seeking Alpha. Developed by Respawn Entertainment Apex Legends has already garnered a following since stealth releasing on Monday, February 4th 2019. According to the studio CEO Vince Zampella, the title hit one million unique players in under eight hours. 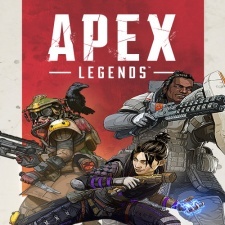 During the same earnings call, Wilson revealed that Apex Legends reached 2.5 million players worldwide within 24 hours, while hitting 600,000 concurrent players. While revenue was up year-on-year for EA Mobile, the business is said to be in decline overall. Bringing cross-play to its big franchises, much like Fortnite and PUBG have done to great success, could be one way for EA to grow its flagging mobile operations.